Last week I took off from blogging to celebrate my 10 year wedding anniversary, you can see a few of the places we travelled to right here. I feel proud that we've weathered the last decade together and still like each, still want to be together. I can't fully comprehend how 10 years has passed as quickly as it has, the speed of time is something I contemplate often with no greater understanding to show for it! It has also been extremely hot here and with the kids at home we've stayed indoors and found ways to entertain one another which has been a big distraction from blogging as well. A new week is about to begin and with it new goals. The kids might be in my hair right now but I want to get a leg up on the week by getting things together now. Honestly it's also because I woke up at 4:30 am sneezing and with an itchy throat so I might as well do something with these early morning hours. 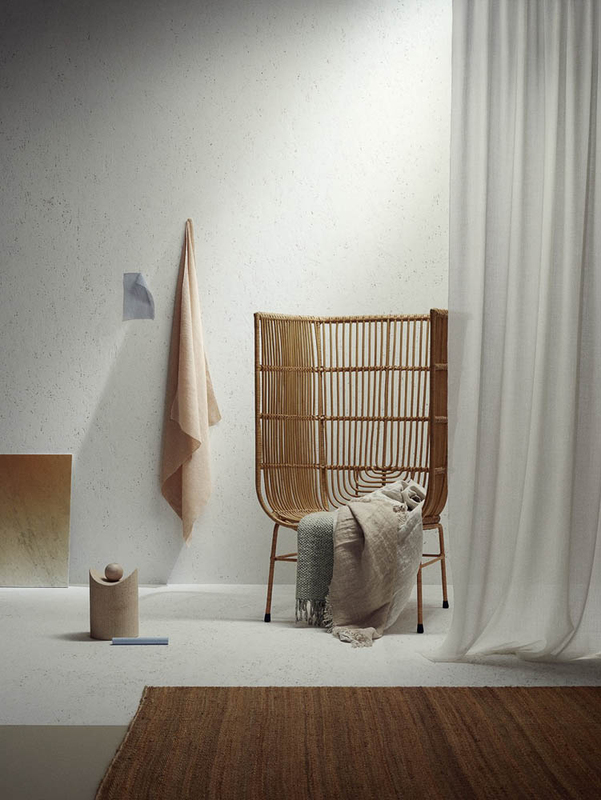 This beautiful image has all the ingredients I'm into right now like natural fibers, woven textiles, long draping fabrics, geometry and a little of light. Styled by the wonderful Tina Hellberg for Elle Decoration.